Search by zip code, map, subdivisions, advanced features and more. Learn about the fastest, most affordable way to get the home of your dreams. There is a clear reason why Charleston SC consistently makes national lists of top places to visit and live in. The city has character, and its residents exude Southern hospitality. Plus, Charleston is emerging as a tech hub. Our Silicon Harbor is on its way to becoming the East Coast counterpart to California’s Silicon Valley. Charleston and the nearby town of Mount Pleasant (just a quick jaunt over the Ravenel Bridge) have proven to be communities rich in culture and growth. Between the different neighborhoods, boroughs, and suburbs, the Charleston area truly has a niche for everyone—the beach lover, the artist, the growing family, the socialite, the techy, and more. Living and working in Charleston and Mount Pleasant for 20 years, Tracy Evangelista knows these neighborhoods and is eager to chat with you about the best fit for your lifestyle and your family (and, of course, your budget). If you’re moving away from Charleston or just to another local home, The Tracy Evangelista takes pride in showcasing your property in the most positive way possible and takes the steps needed to make the transition from one house to the next smooth and simple. She’ll help you navigate the multi-faceted process of selling your home, ensuring that you are well informed of your options along the way so that you can make the best decision for your time frame, family, and investment. 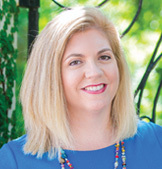 With nearly two decades of real‐estate experience in Charleston and Mount Pleasant, Realtor® Tracy Evangelista is equipped with the knowledge and expertise needed to make buying or selling a home as simple, and stress‐free as possible. Everyone is welcome here — first time homeowners, retirees, international clients, seasoned investors and new construction buyers. If you need residential real estate in Charleston, or anywhere in the tri-county area, you have someone to represent your interests. Sometimes it means working with builders to make a new construction personal to you. It could involve adding terms and conditions you hadn’t considered in your offer to sweeten the deal. 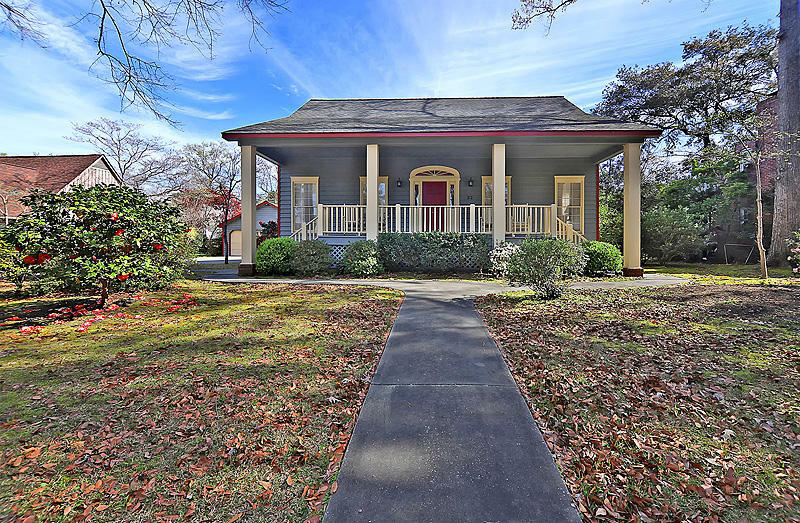 Before all that though, you need to uncover what Charleston homes for sale match your needs. That means not only examining current listings, but also those properties that are perched to go to market. Finding the right house takes timing and an agent that knows the market. Tracy Evangelista is the expert you need. Remember this: positive home buying in Charleston doesn’t magically happen. It’s created by diligent agents who can communicate with seller’s agents to ensure transactions go smoothly as possible. It’s not just Charleston though. Tracy Evangelista can help with any transactions in Mount Pleasant, Daniel Island, West Ashley, James Island, Summerville, Hanahan, Goose Creek, Isle of Palms and Sullivan’s Island. Call today to discuss how Tracy Evangelista will help you. Communication is the key to any healthy relationship - be it your private life or when selling property in Charleston or the tri-county area such as Mount Pleasant, Daniel Island, West Ashley, James Island, Summerville, Hanahan, Goose Creek, Isle of Palms and Sullivan’s Island. It starts with properly staging your home and using professional photography so your prospective buyers see what makes your home wonderful. Although there are three marketing packages to choose from (Basic, Gold and Platinum) they all included a consultation on how to prepare your house for showings so you can compete effectively in your particular neighborhood. You'll also receive education about your competition so you know what other neighbors are charging for their homes. In addition, Tracy Evangelista contacts sellers weekly to discuss activity within the market. Perhaps what sets me apart the most from other local Charleston Realtors® is my use of social media. In addition to standard web promotion I also offer the chance to tell the world about your home on a much larger scale via online social networks like Facebook. This is only the beginning though. To find out what we can do for you specifically, simply contact me today. Tracy was fantastic in helping my husband and I locate a house in the Park Circle area. She worked with our bank and the sellers to make sure everything happened in a timely manner. We would highly recommend Tracy to anyone in Charleston shopping for a house! Tracy is always quick to respond to any needs I have. She was very helpful in helping me with my purchasing and selling real estate needs. She helped me to get top dollar for my property and gave me advice on what I needed to do in order to achieve this goal. Tracy is the quintessential agent for buyers and sellers in the Charleston area. Her local knowledge, prompt communication, and insightful vision of how the market really works makes for a smooth and efficient process to buy or sell your home. We recently used her services to sell a home in the Charleston area, and really appreciated her skills in identifying the key factors to ensure a quick sale at top dollar. If you have the opportunity to work with Tracy, she is HIGHLY recommended. From here on out, she is the type of real estate pro that we will compare all others too. She has set the standard high, and it will be a challenge to find someone else who can deliver the results like her. My husband and I had the opportunity to work with Tracy Evangelista during the recent purchase of our home. She is extremely hard working and detail oriented. Her years of experience showed as she walked us through each step of the buying process. We always knew what to expect and what was coming next which made the buying process less stressful. I would highly recommend Tracy to anyone looking to buy or sell their home. She will most definitely be our lifetime realtor. From the moment we met Tracy, she has been sincere, honest and extremely helpful with the home buying process. We asked a LOT of questions, looked at a lot of homes and through it all she was very patient with us. When it came time to purchase our house, Tracy was very helpful and knowledgeable with bidding, closing, etc. I would recommend her to anyone looking to relocate like we did. Tracy is a caring real estate professional. She stays in touch frequently and makes sure her clients have the information they need for buying or selling. She responds promptly and goes above and beyond providing information based on client needs or interests. We would recommend her without reservation.